Decentralized trading platform for cryptocurrencies! By making attractive design, we solve the problems of use. Our customers will not have to worry about it anymore. Clean code is a reason why we will not be problems with design, speed and security, our users will be able to breathe in because they will be protected. 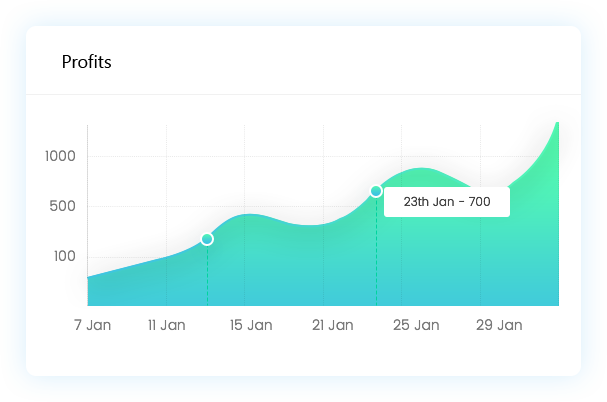 We want to improve our competitors mistakes, that's why our support team will quickly solve the customer's problems. We will prove the existence of security, user-friendliness and modern design. 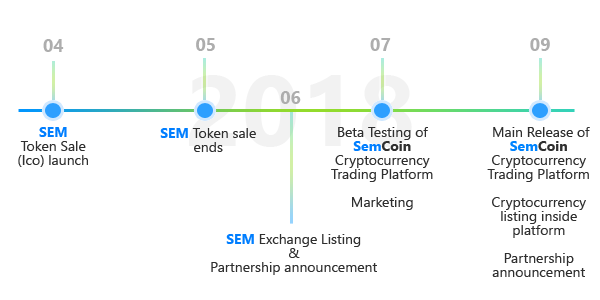 SemCoin Roadmap update coming soon! 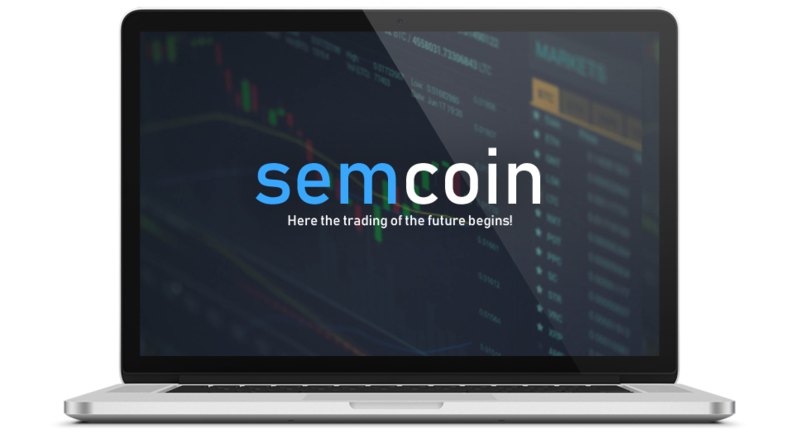 Feel free to join SEM ICO token sale right now! We put our skills into practice and get results from it because modern technologies attract us.